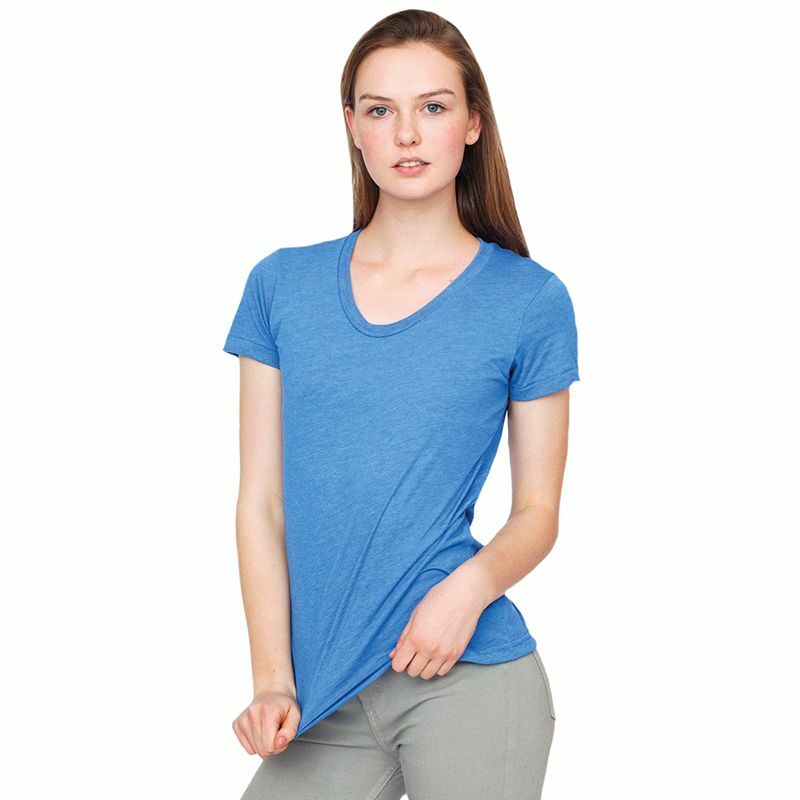 High quality short sleeve women's t-shirt featuring a slightly scooped neckline, blind stiched sleeves and a double needle bottom hem. Constructed from an ultra soft blend of polyester and ringspun combed cotton. S (30"/32")", M (32"/34")", L (36"/38")", XL (40"/42")"
Poly/cotton 50% Polyester, 50% Combed-cotton.